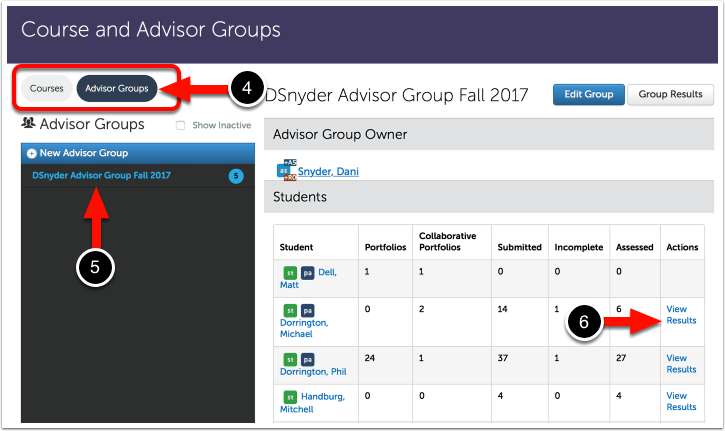 Advisor Groups enable Assessors to view Student results in scenarios where they are not the Assessor. 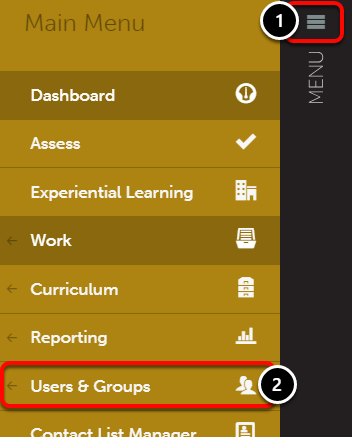 This allows the Assessor to keep track of a specific grouping to students to monitor their progress and successes. 4. Click on the Advisor Groups button at the top of the screen. 5. 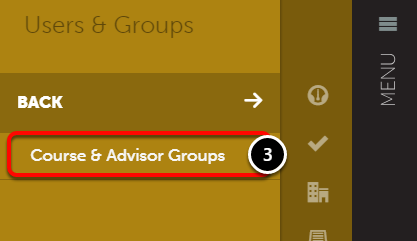 Click on the appropriate Advisor Group from the list of Advisor Groups. The Advisor Group will appear on the right-hand side of the screen. 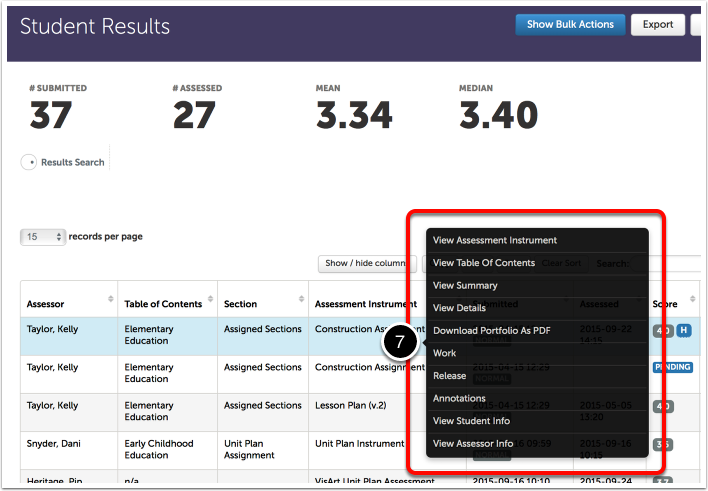 All of your students' names will appear and, if applicable, the option to "View Results". 6. Click on the View Results link for the student whose results you would like to view. 7. Click anywhere on a specific results to reveal its options. Use View Summary or View Details to view the particulars of the assessment.